Check out the latest Sandee hoodies available in Adults & Kids sizes so you can look great outside of the ring also. 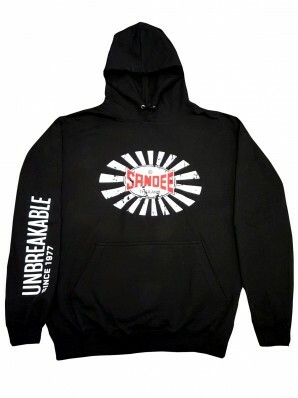 This hoody is made from 100% cotton and is extremely soft and comfortable. It features high-quality distressed printed logos to the front-centre and right arm. It also features a large front pocket.